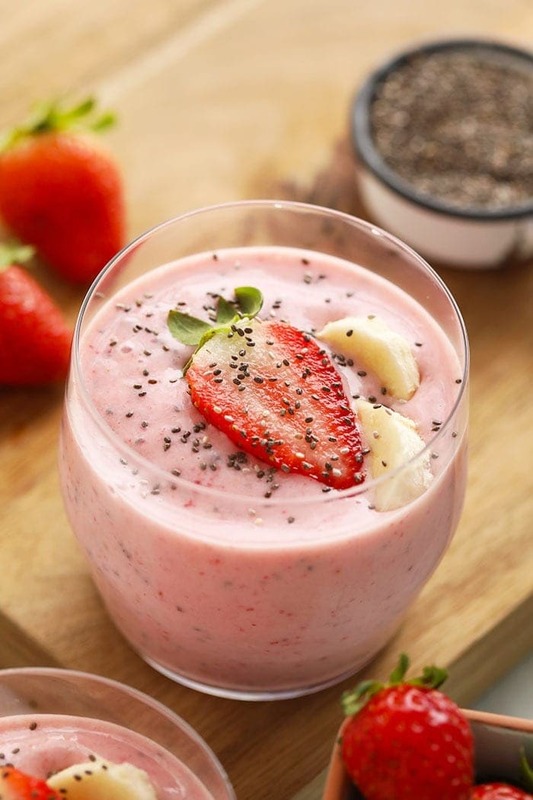 Start the day off right with this creamy strawberry chia seed smoothie! 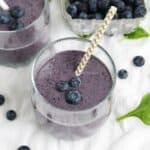 This smoothie is packed with antioxidants, fiber, and great flavor! You won’t be disappointed when you add in the chia seeds for a little extra texture and fun. 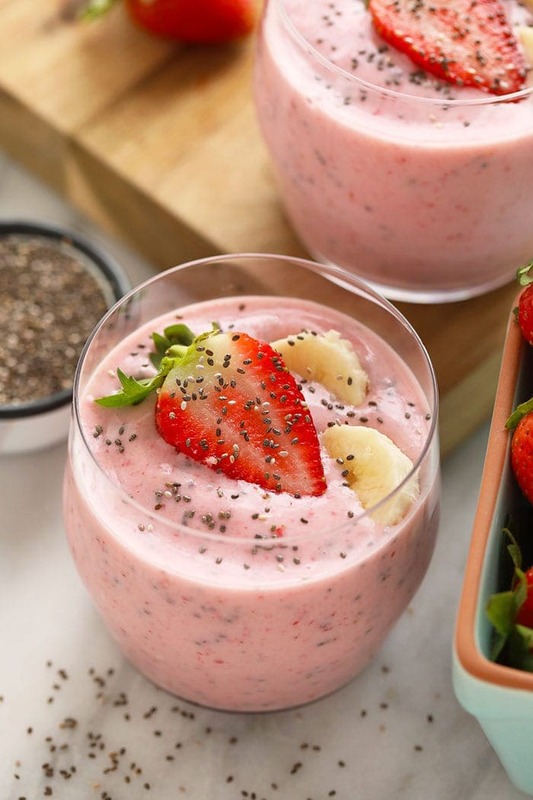 Blend up this creamy strawberry chia seed smoothie today! When life gets busy and you can barely keep up with laundry, healthy meals are the last thing you want to think about. 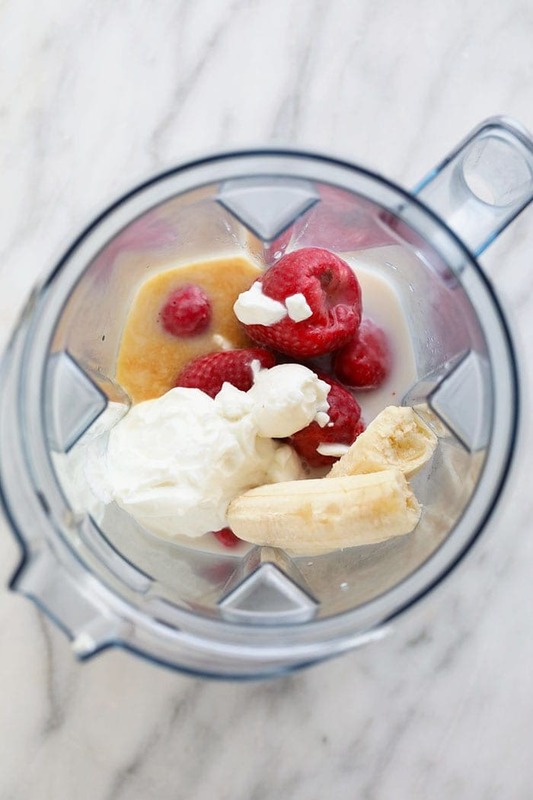 One way to make sure you start the day off with right with a healthy breakfast is to whip up a smoothie! 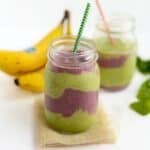 We love smoothies here on FFF because of they back a lot of nutrition in a short amount of time. And? Smoothies options and combinations of fruits, vegetables, and fixings are endless! 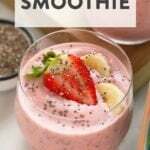 If you are a classic smoothie flavor kind of a person, you would love our classic strawberry smoothie recipe or our strawberry banana smoothie with peanut butter. You just can’t beat em. 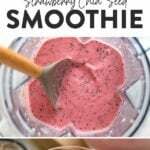 If you want to add a little pizzaz to your smoothie this Creamy Strawberry Chia Seed Smoothie is for you! It is a smoothie and chia seed pudding combined into one. I love the jelly consistency of the chia seeds. It’s a little less jelly than bubble tea, but the same idea! Why chia seeds? I’ll tell you why! Chia seeds pack a big punch when it comes to nutrients. 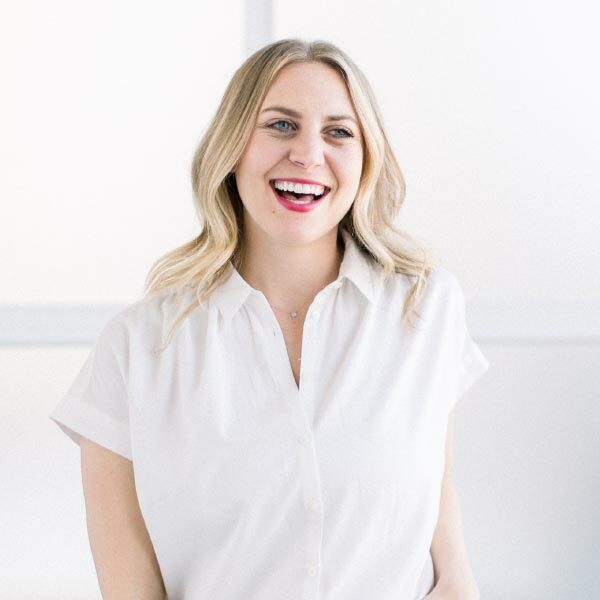 They offer an interesting consistency to recipes as well as some pretty great health benefits. 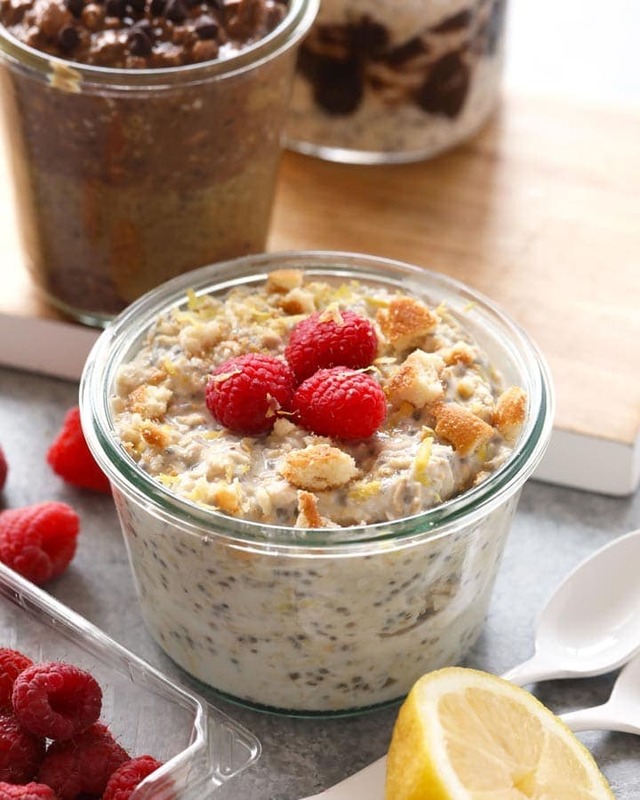 Chia seeds are packed with so much goodness! 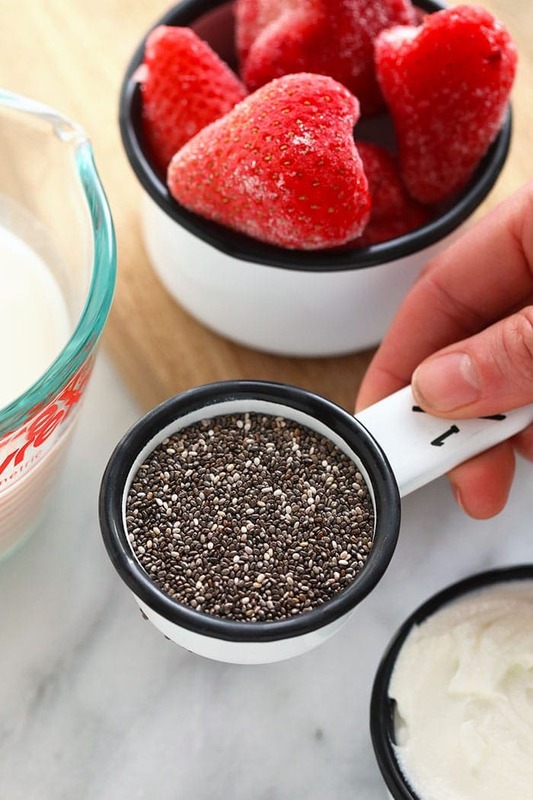 Now get blending and make sure to add your chia seeds after you blend everything else, let your chia seeds and smoothie sit for a couple of minutes, and BOOM. 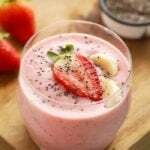 Your creamy strawberry chia seed smoothie will be ready! 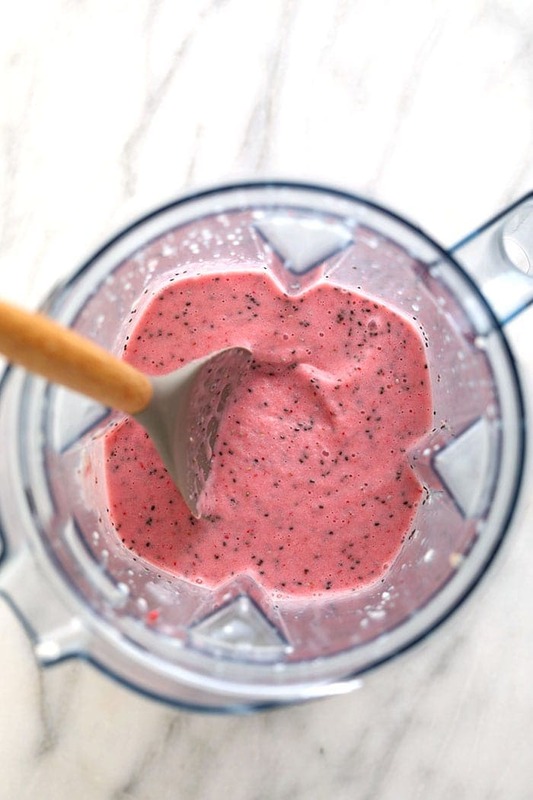 Place all ingredients in a blender or Magic Bullet and blend until smooth! Let sit for a few minutes so that the chia seeds can do their magic (expand and get slimy). Enjoy!